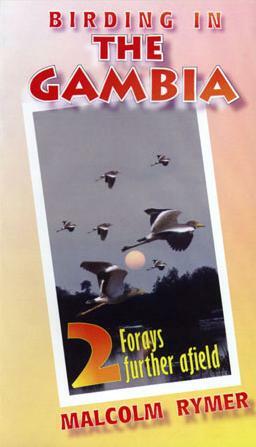 After weeks of birding in the small West African country of The Gambia, naturalist Malcolm Rymer documents his experiences in a trilogy of birding travelogues. Having introduced many of the commoner, familiar species found around the tourist centre in the first film 'Sorties around the Smiling Coast', this second film considers different habitats and associated bird species found a little further afield, but still within easy reach of the coastal hotels. We visit Kotu, Camaloo Corner and the Bund Rd. Study the birdlife of Abuko and Tanji Reserves. Discover the rich diversity around Lamin and Mandina Ba ricefields. Examine woodland wildlife of Brufut and Marakissa. The final film, an 'Upriver Odyssey' continues the adventure upcountry, travelling in search of species which have eluded our list in the coastal region.